Glucosamine Reviews, Dosage, Benefits, Effects - MrSupplement.com. Glucosamine is one of the most well known supplements in the world. Chemically speaking, it is an amino sugar, i.e. a sugar with an amino group attached. Glucosamine plays a role in building cartilage, which is the substance between joints that provides cushioning. Glucosamine can be used to treat joint pain, particularly in the knee and hip, as a result of osteoarthritis. If you are active and engage in plenty of high impact exercises, chances are you already have a degree of osteoarthritis. This only gets worse with age, and glucosamine may be able to help. Glucosamine can be naturally produced in the body. Animal cartilage is a good dietary source of glucosamine. Although this may be good for your pet dog, it's not something often eaten by people. Glucosamine is most commonly obtained from the shells of crustaceans such as lobsters, crabs, and prawns. It can also be extracted from plant sources such as wheat and corn. Osteoarthritis is a condition involving the deterioration of joints. Mechanical stress over time wears away at the cartilage and subchondral bones. This leads to joint pain and stiffness, which occurs most commonly in the knees and hip. Glucosamine has been well studied for its effect on treating and slowing the progression of osteoarthritis. In fact, it may be a viable alternative for nonsteroidal anti-inflammatory drugs (NSAIDs) (UMMC, 2011). It is thought that glucosamine may be effective in reducing pain associated with osteoarthritis, improving joint function, and reduce joint swelling and stiffness (UMMC, 2011). 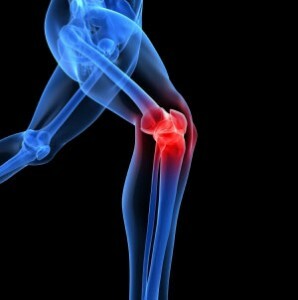 A vast amount of research has looked into the efficacy of glucosamine. There are some mixed results, but there are countless studies and reviews in favour of glucosamine. McAlindon et al (2000) concluded, in a review, that glucosamine was moderately effective in treating osteoarthritis. Towheed et al (2004) reported that glucosamine was better than placebos, while Richy et al (2003) states that glucosamine was highly effective in the treatment of osteoarthritis of the knee. The most comprehensive study to date found that the effects of glucosamine appeared to be more potent for those suffering from more severe osteoarthritis compared to those suffering from mild symptoms (NCCAM & NIH, 2008). If you are already taking NSAIDs to relieve joint pain, you may be able to reduce your dosage of NSAIDs if you stack this with glucosamine. This is beneficial because NSAIDs are known to cause stomach ulcers (UMMC, 2011). Glucosamine is regarded as safe. It has been approved in most parts of Europe for use to treat osteoarthritis. A safety review found that glucosamine actually resulted in fewer effects than placebos. Glucosamine is many times safer than NSAIDS, which have been reported to show adverse side effects and even death in people. Furthermore, glucosamine has no effect of blood glucose levels (Anderson et al, 2005), so can be used by diabetics. Some people experience mild side effects such as stomach upsets, but this can be reduced by taking it with food (UMMC, 2011). However it is important to know that since glucosamine is often derived from shellfish, those with shellfish allergies and religious dietary restrictions need to avoid these forms and opt for the plant based products. Another point to make note of is that glucosamine is sometimes complexed to sodium. Thus, if you need to be on a low sodium diet, such supplements may not be appropriate for you. Generally, 1500 mg is the recommended daily dosage. This can be taken as three lots of 500 mg or as a single concentrated tablet once a day. It can be taken with food for those who may be sensitive to stomach upsets. Results may be noticeable after a few months of use. Glucosamine can be found as a stand-alone supplement in powder or tablet form. It is also a common ingredient in joint support supplements. The two most common forms of glucosamine are glucosamine sulphate and glucosamine hydrochloride (HCL). It has been said that glucosamine HLC may be more absorbable than glucosamine sulphate. However, the majority of research has been performed on glucosamine sulphate. Glucosamine can be stacked with other join support supplements such as chondroitin, collagen, MSM, and omega 3s. These may work in synergy to help provide joint support. Additionally, stacking glucosamine with your existing bodybuilding supplements is also acceptable. UMMC (2011), Glucosamine, University of Maryland Medical Center.